With the construction of the High Speed Rail link between Singapore and Kuala Lumpur making the headlines in recent weeks, experts have stepped forward giving their thumbs as the plans will provide economic gains to both nations. With the High Speed Rail terminus in Jurong East, all these positives vibes could spur strong sales at Lake Grande (a new condo launch at Lakeside) as they prepare for launch this weekend. However, some mentioned that the economic impact will be rather insignificant at least for the next 10 years during the construction, as Singapore only covers a short stretch of entire the rail from Kuala Lumpur. The MOU (memorandum of understanding) on this mega project was signed earlier this week on Tuesday and construction works are expected to commence in 2018. As Singapore doesn’t have the required experience in building the high-speed rail and the technology involved, the collaboration could see the nation reaping benefits in terms of skills acquisition. Transport Minister of Singapore, Mr Khaw Boon Wan who signed the MOU for Singapore, said it marks a significant milestone in the 3-year negotiation efforts and there will be many economic activities that can emerge with this drastically improved connectivity. But Mr Khaw has also added that much lies ahead before the moment when the nation can pause and celebrate. It was noted that the scale of the construction works involved will be nothing like a typical construction of the MRT. This is directly have a positive impact to the area within the vicinity of the terminus as it will create more jobs and business opportunities such as for accommodation, retail and not forgetting tourism. 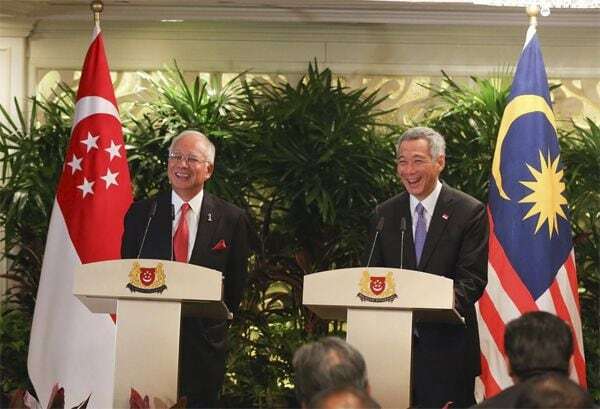 On the high-level benefits, Prime Minister of Singapore, Lee Hsien Loong have mentioned that the high-speed rail link will make business dealings across the border faster and easier. It may open up to more competition, however it will also bring vitality and also spur a quicker growth rate. Being the owner of 3 mega malls in Jurong East (19 in total islandwide), CapitaLand said that their serviced apartments and shopping malls in both countries could benefit strongly from the surge in traffic between both nations, especially for those which are located within close proximity to the terminus and the stations in between the high-speed rail link.